This particular Colt Automatic Machine Gun, Model 1895, saw use during the Spanish American War by the Marines of the Battleship Texas, and by the 1st Marine Battalion (Reinforced) at Guantanamo, Cuba. This particular weapon bears the serial number 99. 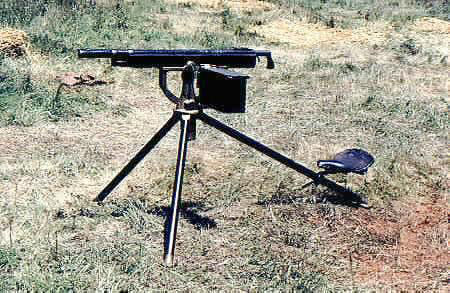 The U.S. Navy registry of Colt Automatic Machine Guns. The navy records indicate that the gun was purchased on July 8, 1897 and was issued to the U.S.S. TEXAS. The records also indicate that the weapon was "Transferred to Marine Corps from Texas at Guantanamo Bay, Cuba June 12, 1898" and was returned in March, 1899. The TEXAS had two of these guns, and was issued two carriages and one tripod.